Hi everyone. We were supposed to have a roundup in middle of week, but got behind with all the Thanksgiving stuff going on. Making some progress on the backlog of inventory to list, and hope to get most of it out there in a few weeks. It might be too early to tell, but so far it seems to be worth it to do product-focused blog posts this way. Pinterest also seems to have helped out with exposure. We're seeing increased page views and possibly sales directly from our posts, though it's difficult to tell ... since 'tis also the holiday shopping season! 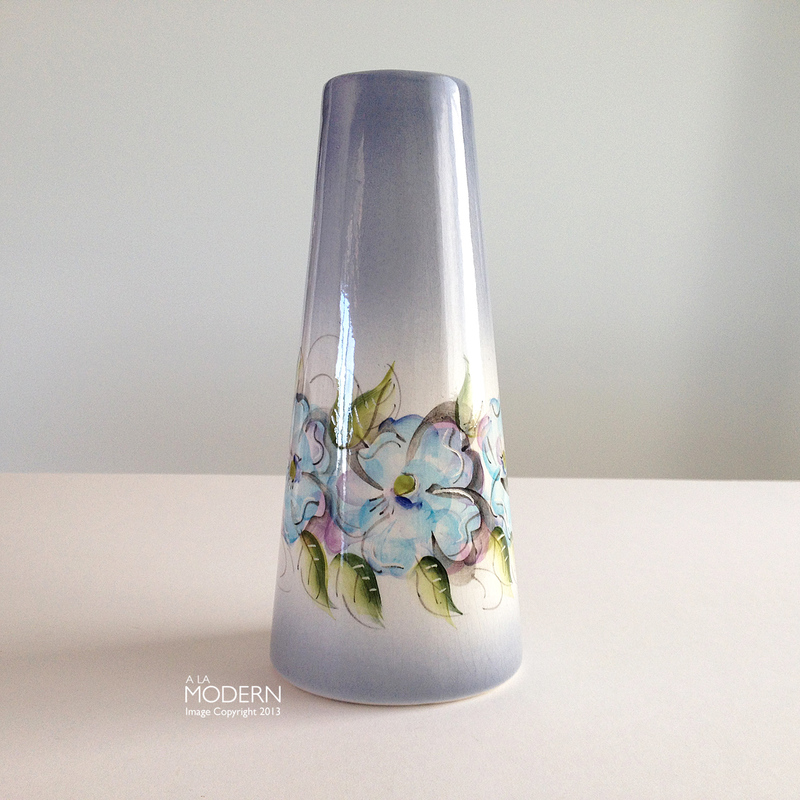 This Madeline Originals vase is not really a thrift find, but one that we've had in our main shop for awhile now. I've slowly begun moving all the items over to either Ebay, Etsy or our antique booth. I decided to start including these in our posts, because the majority of readers won't have seen them before. 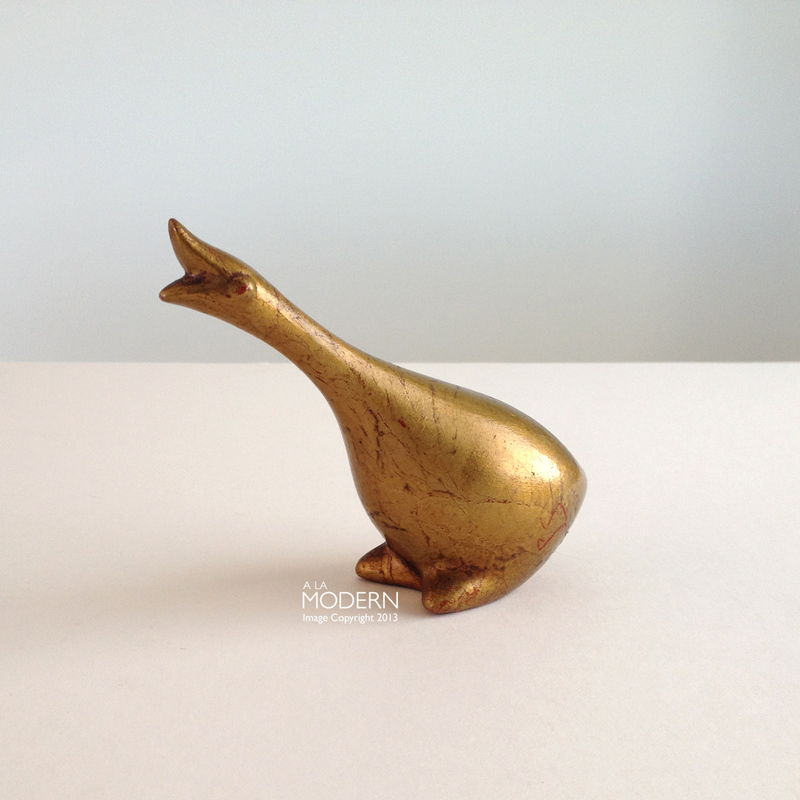 I'd hesitated on this little Howard Pierce goose figurine awhile back (it had some wear), but finally decided to pick it up on a return trip. Glad I did, as it's already flown to a new home! 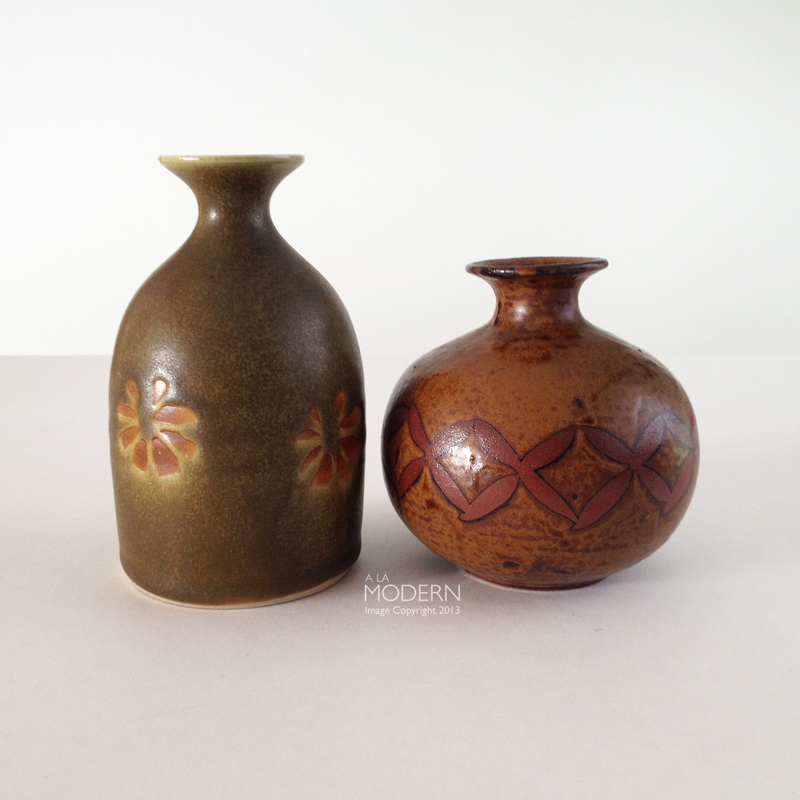 I'm not sure why I keep picking up so many of these small Otagiri Japan vases - they don't do as well for us in the shops, but I can't seem to help grabbing them. 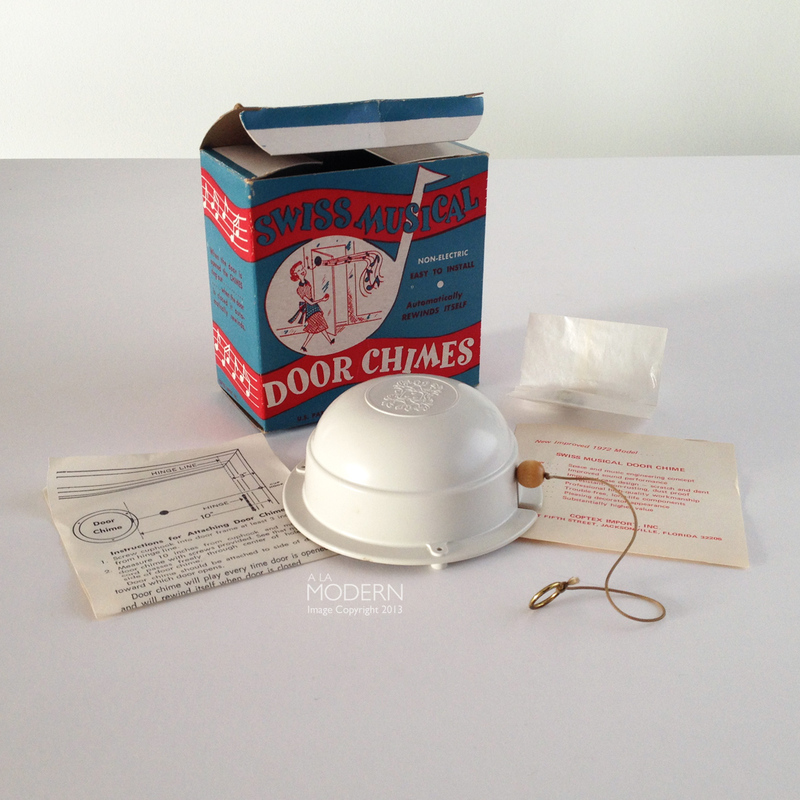 On that theme - I have a weakness for kitschy "one-use" older items like this "Swiss musical door chimes". I can't imagine this would last longer than a week in a busy kitchen where the door keeps opening. 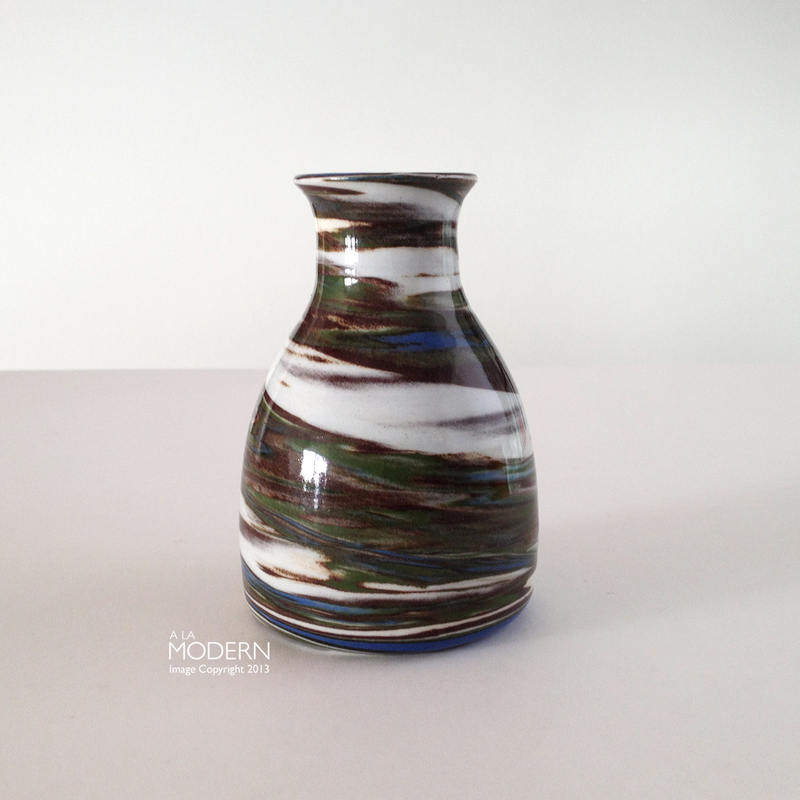 Nice little Desert Sands (I'm assuming it is) vase. These were made by the Evans family, in various places including Nevada and California. Similar look to Niloak Mission. The Wilmot pieces continue to turn up every so often in thrifts for us. I hadn't seen this bird shape before. 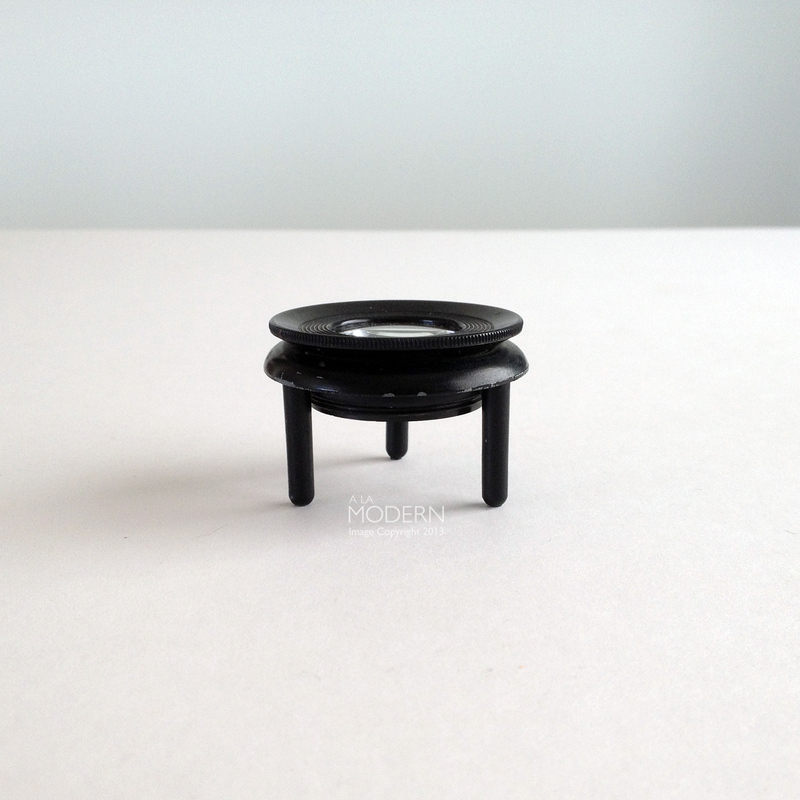 I picked up this "desk loupe" at an estate - was almost thinking of keeping it at first because it seems kind of handy. 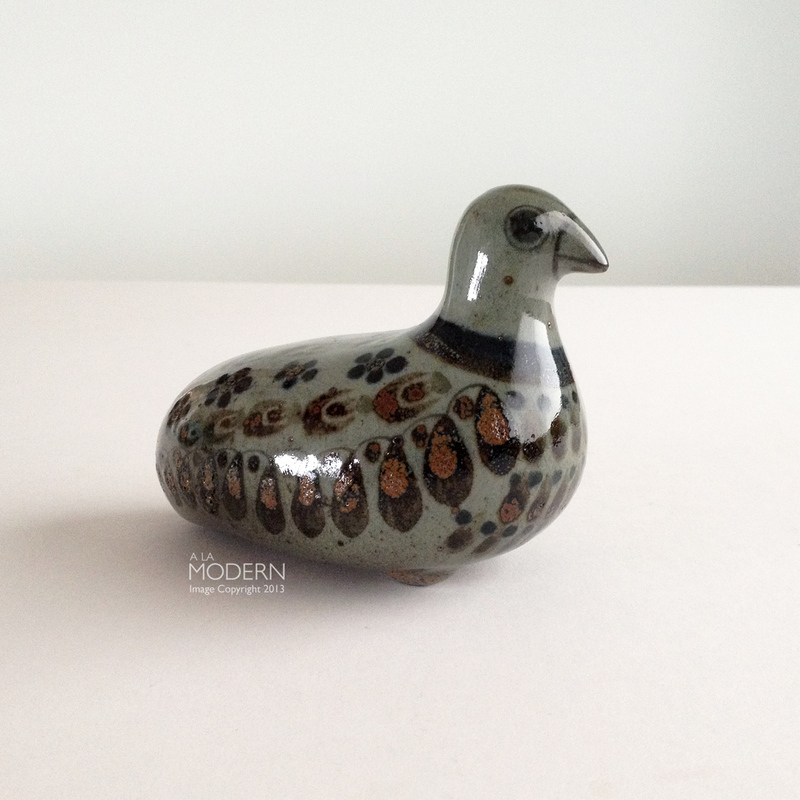 We pick up a lot of California pottery from different companies - this is the first time I've run across Pas Cal. 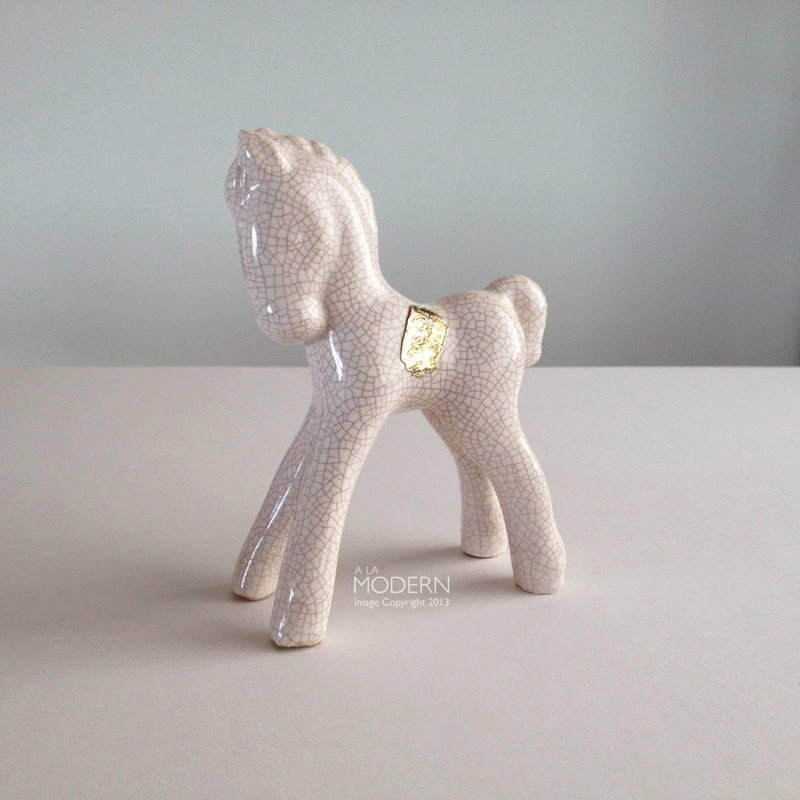 I've seen it in the books, but those weren't crackle glazed like this horse. I actually thought it might be a La Mirada piece at first glance. I saw these Taylor and Ng mugs in a thrift a few weeks back, and I was like GIMME. 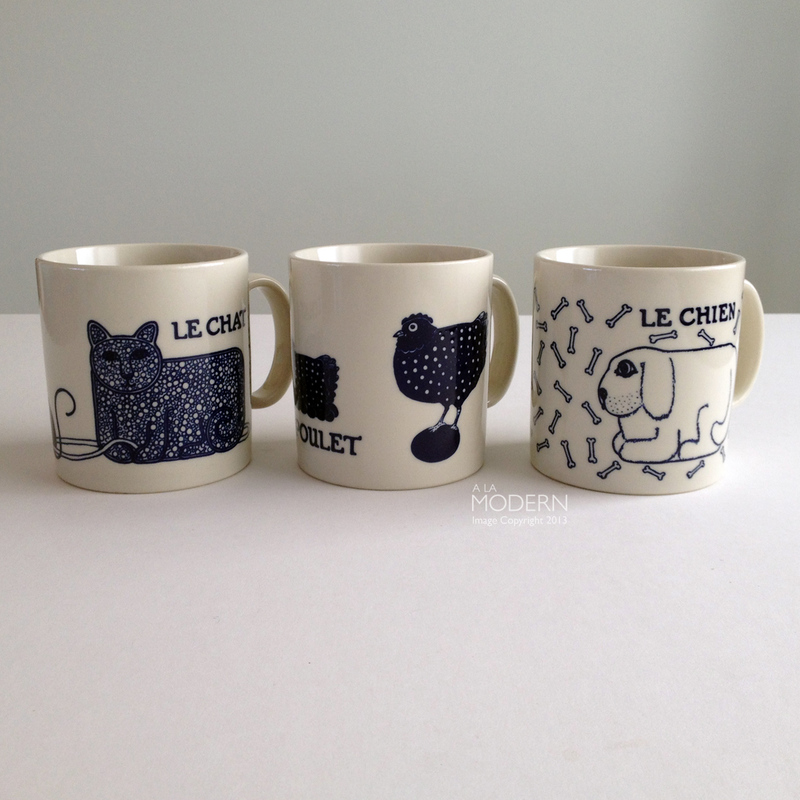 While the market has gotten a bit glutted with T&N mugs, the French mugs do well for us - they've sold already. 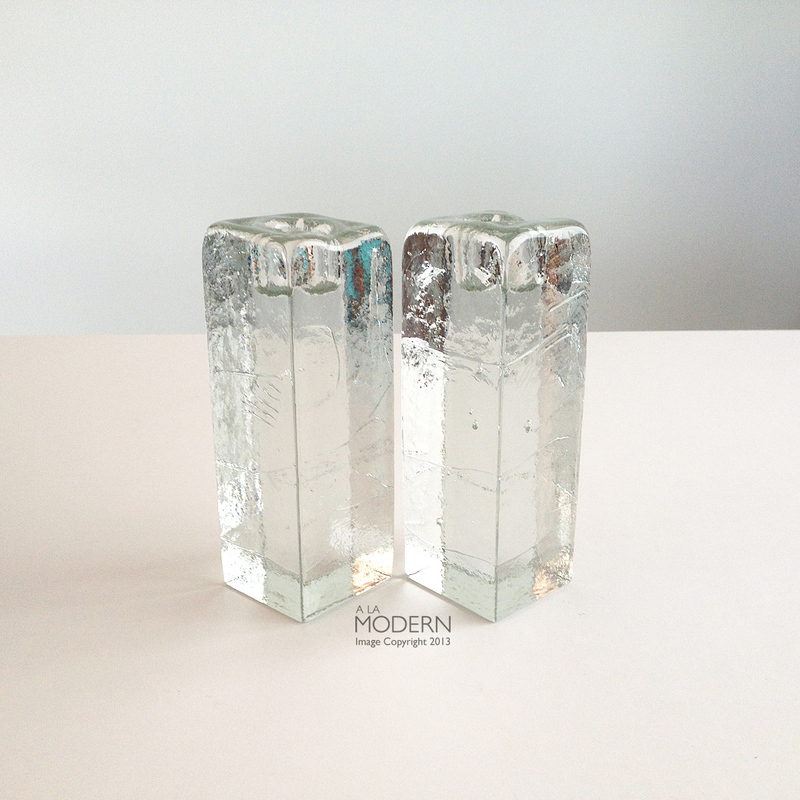 I had a lone Blenko ice cube pillar like this that had languished in the shop before, and then I happened to find two more the other day. Listed them up, and they went quickly. I guess people like them in pairs better. 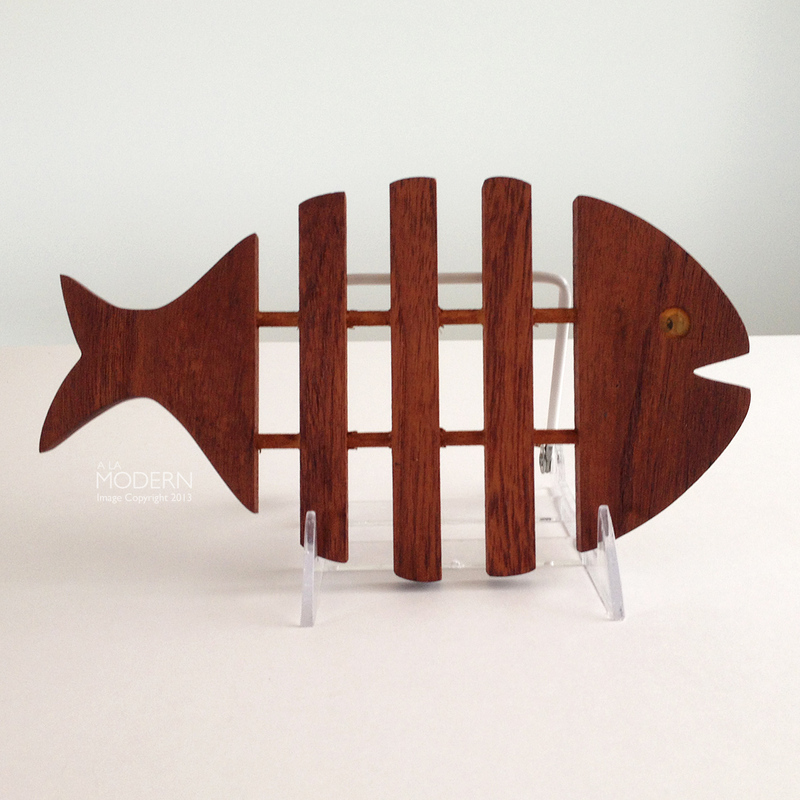 I was still trying to figure out the maker of this teak fish trivet. I thought at first it might be newer, but other sources seem to say vintage. Whatever, never mind - it already went! 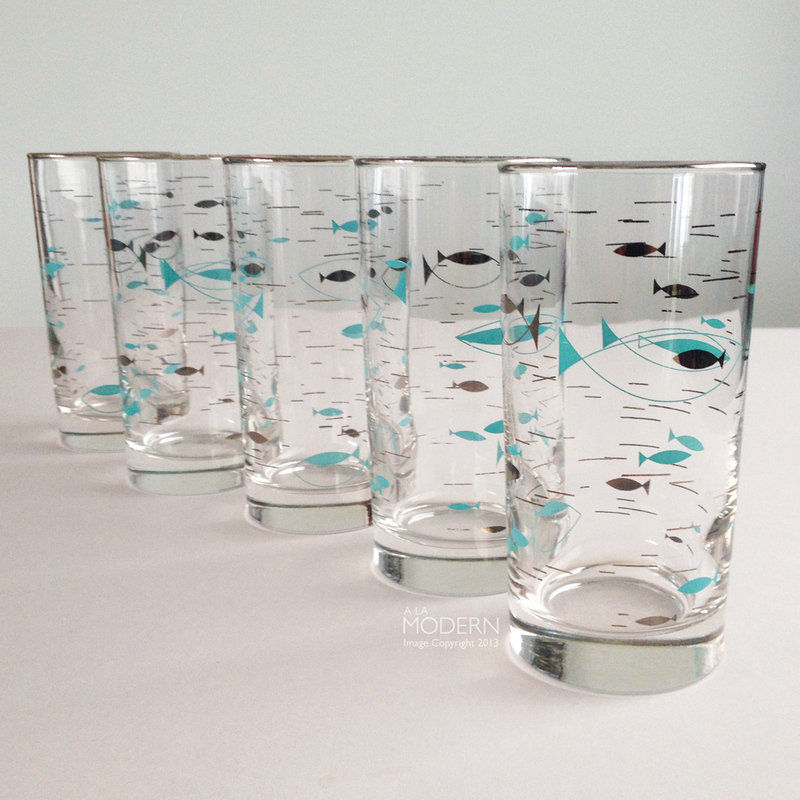 Lastly, we found these 5 Libbey fish glasses in the Mediterranean pattern at the flea market. I'd just put these up, when we ended up finding a TON of the same pattern glasses but in a different shape. In fact, we found 23 of them! Already started listing them up, but still deciding whether to keep some - not that we need any more glasses.